The winners of the 2017 Women in Law Awards have been announced at a gala event in Melbourne. 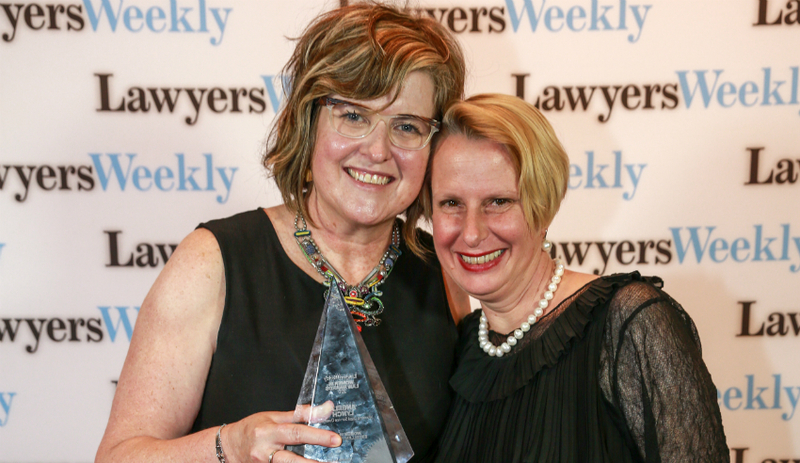 Lawyers from around the country came together on Friday, 20 October, to celebrate the achievements of the leading women in the legal profession. Partners and executives, support staff, in-house counsel and law students were among the many exceptional lawyers who took the stage at the Sofitel Melbourne on Collins to receive the rewards of their hard work. These winners are not just outstanding professionals in their own light, they have also overcome significant gender-based barriers on the road to success. While the profession has come a long way, the pursuit of true equality is a constant challenge, and one actively taken on by many law firms and legal professionals. It was in this spirit of commitment and congratulation that over 400 lawyers gathered in Melbourne to toast the success of the profession’s leading women. Lawyers Weekly congratulates all the winners and finalists of the 2017 Women in Law Awards.